I was SO excited for field day this year, as it was the first year I’d be operating from the comforts of my own shack. My wife and I recently moved out of a 7th floor loft in downtown Dallas and into a house in the burbs of Jackson MS. This wonderfully opened up my antenna options. 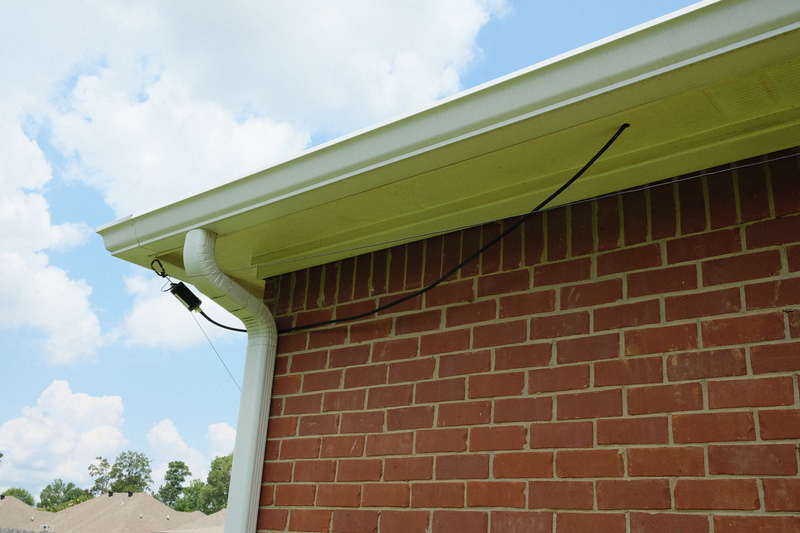 Alas, the first antenna I put up failed miserably due to my terrible balun building skills (I’m improving, albeit slowly). The second one did much better, being store bought. At least… I could hear frequencies. 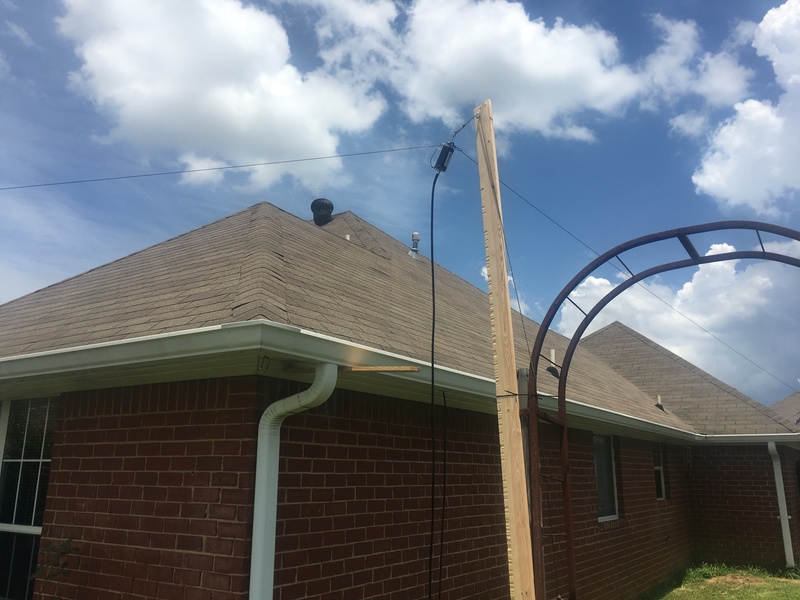 I diligently ran my feed line through my attic and out the soffit to hang the center of a 120′ wire dipole off the corner of my house. I then spent the rest of the week boning up on on digital modes, my CW skills (still not great), the rules, field day operating practices, and testing to make sure my radio could hear on the bands. The Friday before Field Day, I tried listening to the W1AW bulletin via phone and CW, but couldn’t quite bring them in. So I pulled it using PSK31, which worked quite well. Which turns out, in the end, to be prophetic. 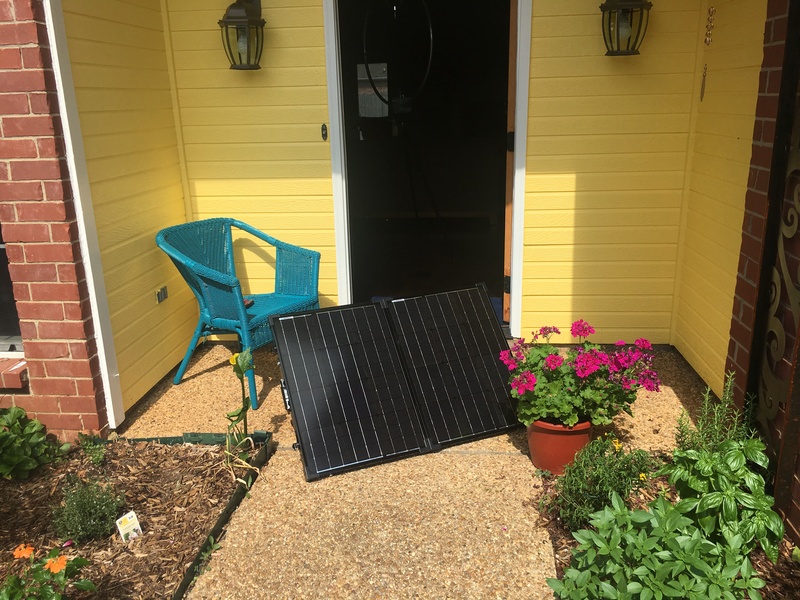 I also set up my Renogy suitcase solar panel kit and topped off all the batteries I thought I’d need. 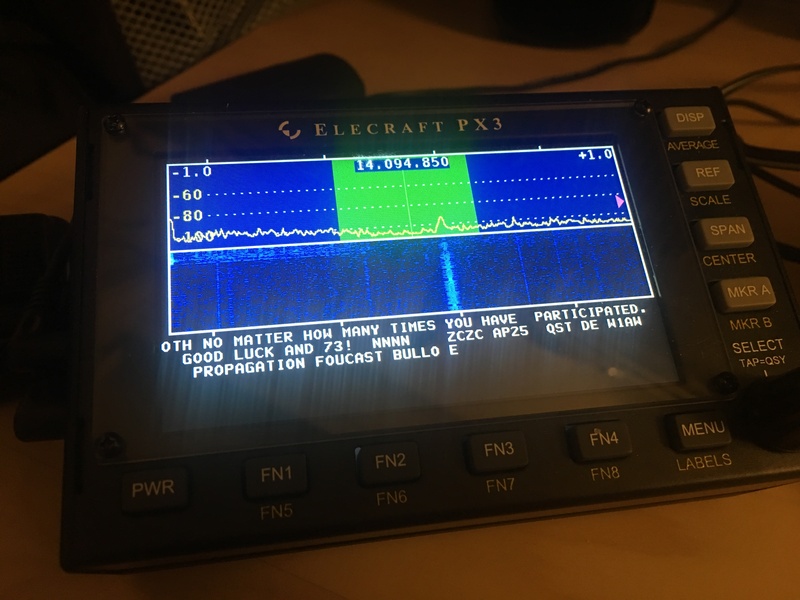 Turns out my QRP Ranger from Hardened Power Systems worked the whole weekend without needing a recharge, powering both the KX3 transceiver and the PX3 panadapter. Not bad at ALL. I then spent the rest of Friday night cleaning and organizing the shack. So fun…. So, Saturday 1pm Central, station K5HH 1E MS was open for business. I actually heard CQs kick up at 12:58, but who’s counting. I then proceeded to spend the next 3 hours able to hear other stations on 20, 40, and 80 meter bands, but nobody, NO body, could hear me. I just couldn’t reach out and touch anyone. I tried Phone, CW, and PSK31. Heck, I even tried RTTY which I’d never used before. So I thought my field day was a bust. Deciding to run through my whole setup to make sure I had everything connected and hooked up properly, I started with my radio TX settings, then my connectors, then tested my feed lines, which led me to try to change where my feed point was hung. I moved it away from the house (and the metal gutter), and raised it about 6 extra feet. WHAT A DIFFERENCE!! My FIRST try on phone was heard just fine, as they didn’t ask for any repeats. That’s when my day finally started, around 6pm central. I did SSB phone for a while, but one of my goals was to actually work CW for the first time, which I finally did. I did have a hard time breaking through the pileups on CW, so late that night I tried PSK31, which is where I spent the remainder of my field day. I didn’t rack up a great many QSOs, or points for that matter, but I did double what I got last year, so I’ll take it. I did make contact with a couple friends in Texas though. More importantly, I learned a LOT about setting up my home shack, and had a great deal of fun doing it. I’m incredibly impressed with how long my battery lasted. CW remains a challenge for me, but that’s just going to take practice. Next year, I think I’ll go back to 100w and see what I can accomplish. Look for a followup on operating PSK31. 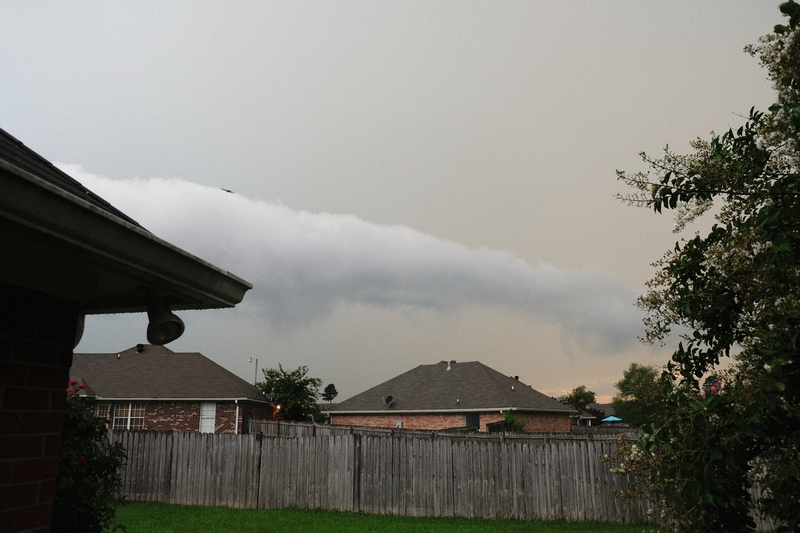 Interesting Tube of cloud rolled through Sat afternoon.